The site in the Harlaa region of Ethiopia suggests a long history of trade and communication in North Africa and the Middle East. Roger Wood/Getty ImagesAncient Aksum ruins in Ethiopia. Archaeologists working in Ethiopia have discovered an ancient city that may be more than a thousand years old and sheds new light on the history of trade between East Africa and Asia. 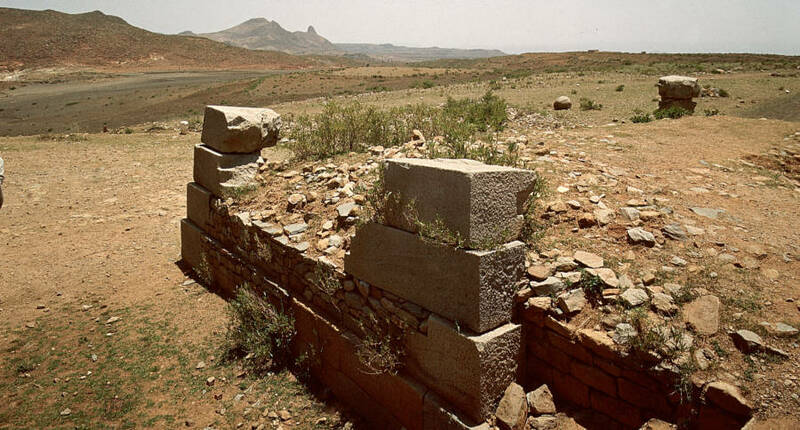 The lost city was uncovered in the Harlaa region of Ethiopia, located just outside Dire Dawa, the second largest city in the country. Though Dire Dawa is now a major city, the area was once thought to be a backwater of little historical significance. It was only due to local legends of a “city of giants” that once existed there that caused archeologists to take an interest in the site. The story is thought to have originated from locals coming across the ruins of this city, formed out of large stones, and believing that only giant men could create and set such stones. While no evidence points to the newly uncovered ancient city once being inhabited by giants, what was discovered drastically changes archeologists’ notions of the history of the region. In the city, researchers found glass vessels, rock crystal, carnelian, glass beads, cowry shells, and pottery from India, Egypt, and China, Newsweek reports. This leads researchers to believe that the ancient city was a center of trade and commerce, a “rich, cosmopolitan” center for jewelry making, whose residents hailed from many disparate nationalities and backgrounds, writes the BBC. Indeed, these discoveries prove that Ethiopia has a much longer history of connection to the Gulf and East Asia than previously believed. Furthermore, the discovery of a mosque that is more than a thousand years old at the site also reveals much that was previously unknown about the history of Islam in Ethiopia. The similarity in this ancient mosque and other contemporaneous mosques in nearby countries like Tanzania and Somaliland leads researchers to believe that there was a history of connection between these Muslim communities in East Africa. All of this suggests a much more established and connected East African Muslim community than was previously thought to have existed at that time. Next, read about another recently uncovered ancient city, this time discovered inside Mexico City. Then, check out these images of closed cities in Russia to see some more modern abandoned cities.